The story of Christ’s birth is always in danger of becoming too pedestrian, so familiar it becomes trite. Sadly, the very commemoration of this story every year can sometimes lead us to bury it further into the dark recesses of our dormant memory instead of making it new again. We know how the narrative ends, so we often overlook the inherent peril in Christ’s coming to the world as a baby. The whole process of bringing a savior to earth was fraught with inconceivable risk. Mortality rates for child birth and the probability of any child making it to adulthood in the ancient world were huge risks for an only begotten son; God only had one chance. In addition to the natural causes of death, Herod awaited the birth of Christ and, according to our Bible story, murdered the male infants of a whole town for the possibility to end the story of Christ prematurely. The world loomed so large and powerful in comparison to the fragility of the situation for the young Mary, Joseph, and child. At any point, the terrors of the world seemed poised to swallow the entire enterprise whole. The odds were against Christ then, and they certainly oppose him now. The story of Christ is still in danger. The world is still so large and seems bent on trying to stamp out any belief in the Christ. Many media voices spout out a logic that makes belief seem ridiculous. We cannot escape the megaphone of Christmas commercialism that can keep us so busy we don’t have time to savor the thought of the Savior. A Savior who lived and died to not only help us believe in him, but to enable us to be like him. With all the pressures of the season, we can spend so much time celebrating Christmas that we forget to be Christians. Our faith in Christ may begin as a fragile, faint glimmer in the terrifying darkness of the night sky, but as we follow the light of the savior in the service of each other, we can #lighttheworld with hope. Message inspired by the faithful scholarship of Brevard S. Childs, see his The Book of Exodus: A Critical, Theological Commentary (Philadelphia: The Westminster Press, 1974), 24-25. Presented at the SMPT Conference held at Brigham Young University, October 2016. It may seem like an understatement of sorts to say, “In the world ye shall have tribulation” (John 16:33), when hardship is the state of man in the world. Suffering is not supposed to be the end state for us though, “men are, that they may have joy” (2 Nephi 2:25). Christ is the end of our sorrows, not because he removes our sorrows, but through him “[our] sorrow shall be turned into joy” (John 16:20). It is a process. As we sample life’s buffet, we will inevitably “taste the bitter”, not just so we can learn to “prize the good”, but so we can learn to metabolize the bitter and convert into something “for [our] own good” (Moses 6:55 and D&C 122:7). In life, we are meant to do more than just endure. “Endur[ing] to the end” is the critical last leg of our overall journey to salvation (3 Nephi 15:9); however, when we talk about it, we often focus on endurance, as if white-knuckling the “rod of iron” was tantamount to enduring to the end. In actuality, understanding what the end is empowers us to “stand still” when “all things shall be in commotion” (D&C 123:17 and 88:91). More than merely understanding the end, the scriptures insist that we can know or even view the end through revelation. It is the through revelation’s lens that we can gain perspective on the end that is death, the end of our immediate sufferings, and the end who is Christ. The scriptures, which are revelations themselves, beget further revelation for those seeking truth. It is important to know that the scriptures are living documents. We sometimes confuse the life we bring to the words as the only life the scriptures possess; as if the only voice the scriptures have is ours when we read. In addition to the ancient authors’ voices whispering from the dust, the “still small voice” of God’s spirit breathes life into the scriptures with words we can “feel” (1 Nephi 17:45). As a result of this interaction, we “can testify that [we] have heard [His] voice, and know [His] words” (D&C 18:36). The Lord entrusts us with revelation, so we will trust his words and follow him, especially in those times when we are confused. It is precisely through continuing personal revelation that the gospel is made “inexhaustible”  and we can begin to fathom such a thing as an “infinite atonement” (2 Nephi 9:7). Without the assistance of the spirit, we are easily confined to a finite world defined by the relentless rhythm of time. In his atoning act, Christ’s condescension to this world connected us to the infinite. We worship a God, before whom “past, present, and future…are continually” (D&C 130:7); therefore, God can and does “declar[e] the end from the beginning” to us (Isaiah 46:10). It is worth all the spiritual sweat we expend in understanding revelation from the scriptures and persistent prayer, if we can gain a glimpse of the sweet eternal perspective that the Lord can provide. Eternal perspectives enable us to correctly scope our current crisis. Often our present problems can find relief through simply knowing that death is not the end. Christ “[is] the…life” that made immortal life possible for us (John 14:6). Christ’s infinite atonement not only extends our individual stories passed the finality of death, but also allows us to attain to a “knowledge…of the world to come” (Jacob 4:12, see also Mosiah 5:3). Our “hope and views” of the post-mortal world can allow us to face trials, suffering, and especially death knowing that we don’t have to face them alone. When a loved one departs this earth, part of our solace can come from this knowledge that death is not the end of life. Additionally, understanding that death is not the end of our relationships can help us deal with life. The scriptures teach that “that same sociality which exists among us here will exist among us there” (D&C 130:2). This principle is one of the more regularly confirmed revelations in scripture. The spirit hallows our daily precious moments with the people we love by adding a feeling of permanence that is nearly palpable to our associations. This spiritual witness of our enduring relationships is also part of our “knowledge…of the world to come” (Jacob 4:12). Our spirit-touched eyes can see what heaven will be like as we love others right now. This love, though not always “perfect”, can still cast out some of the fear that our vessels of faith take in as we traverse the swells of life (1 John 4:18). Christ has “trodden the winepress alone” so we do not have to (Isaiah 63:3). His atonement can make our relationships eternal. The relationships we create here and through the veil are our “cloud of witnesses” to God’s love for us, a love that is perfect and “casteth out all fear” (Hebrews 12:1 and Moroni 8:16). Despite a growing knowledge of the world to come, when we are caught in one of life’s “mighty storm[s]” (Helaman 5:12), the end we tend to care about most is the end of our immediate sufferings. Trapped within the confines of our present circumstances, we are unable to see that there is “a way” prepared for us to “escape” (1 Corinthians 10:13). Christ “[is] the way” (John 14:6). His infinite atonement is the only way to escape the chains of the finite now to spiritually see “things as they really are, and…as they really will be” (Jacob 4:13). The Holy Ghost is a comforter, because he is a revealer. Through the spirit, our faith and anxiety can qualify us to know what “things should happen” (Jacob 1:5). Revelation can comfort us; however, even knowing how something will occur does not necessarily trivialize the experience of living through it. Christ, who knew cognitively before hand what his suffering would be like was still “astonished” when his agony began in the garden of Gethsemane . Because of Christ’s astonishing sorrow we can also be astonished at how personal a figure Christ can be in the path out of our own sufferings. 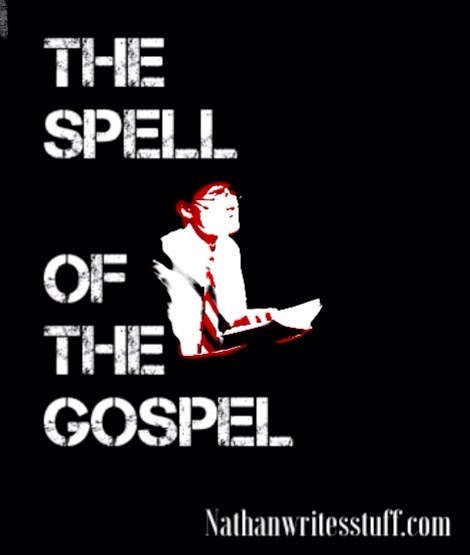 The Spirit’s witness of Christ is another way that the Holy Ghost fulfills his role as a comforter. The Spirit begins by confirming basic truths about Christ; that he exists and that he is the savior. Over time, the Holy Ghost personalizes Christ’s reality to us in ways that will deepen our awareness of the personal relationship we have with him. His reality can become so tangible, we will begin to feel “as though he had already come among [us]” (Mosiah 3:13, see also Jarom 1:11). This consciousness of his reality, his personal presence in our lives, gives us lasting comfort in our times of need. The numerous tender mercies we receive from God become more tender through an intimate relationship with their giver. While speaking of theophanies, Moroni explained that the brother of Jared was one of those who “truly saw with their eyes the things which they had beheld with an eye of faith, and they were glad” (Ether 12:19). The spirit helps us imagine the presence of God with our spiritual senses well before the day when “[we] shall see him” with our eyes (D&C 88:68). In this way, the Spirit, as the comforter, prepares us for the Second Comforter, who is Christ . Coming into the presence of God is a process in which we experience his presence gradually as we learn to feel and follow the Spirit. Our sufferings are a vital part of this process. When we are in pain, it is very easy to focus on causes instead of purposes for our trials. We can wallow in a multitude of why questions, before we begin to think about how to get through the quagmire of a particular problem. We often treat our problems like ends unto themselves, when really to the Lord our trials are a means to an end. Getting through a tribulation, though admirable, is not as important eternally as what we get out of it and who we become because of it. Life, including our sufferings, is a means to an end, and that end is for us to become like Christ. He is the end of our sufferings. Christ himself said “I am…the beginning and the end” (Revelation 21:6, italics added for emphasis). Christ is the end worth enduring to and his grace  supplies the power we need to reach him. It is our knowledge of Christ and our personal relationship with him that brings fuller purpose to our mortal pains and additional power to meet our trials. The spirit allows us such an intimacy in our relationship with Christ; however, this feeling of intimacy with Christ and a certainty of his existence, though related are different concepts. The scriptures use various senses to suggest progressive levels of certitude in our awareness of Christ’s reality; we can feel his spirit, we can hear his voice, and finally we can see his face. The scriptures similarly describe different degrees of divine intimacy or nearness, but the senses are ranked differently. From a distance we can hear him “as the voice of one crying in the wilderness” and we can glimpse him with an eye of faith, but the spirit allows a closeness beyond sound or sight, where we can feel his presence, and even “[taste] of his love” (D&C 88:66 and Mosiah 4:11). The Lord does not want us to just know that he is, he also wants proximity to us. In scripture, he insists on intimacy, “draw near unto me, and I will draw near unto you” (D&C 88:63). The idea that we can taste of his love or goodness is a symbolically shocking way to describe how close we can come to the Lord through the spirit (see Mosiah 4:11 and Alma 36:24-26). To taste something, you have to be close enough to touch it with your tongue. As a brief aside, this is exactly what we do with the emblems of Christ in the Eucharist or the Sacrament, we put them in our mouth; it is supposed to be this intimate. Sometimes it is during suffering’s suffocating grip that we come to know Christ most intimately. His nearness can distance us from our pain, so that we can see our trials differently. At these moments, we can more easily enter into a Gethsemaneic mindset, where we are willing to accept the Lord’s will over our own. And having emptied out our wills, we will have more room for more of God’s power to do what was previously impossible. Our sufferings can find their end in Christ, where his will can drive us to “finish[…]” our trials in a way that can also add finishing touches to us (D&C 19:19). Our submission allows the Lord to use our trials as tools to engrave his image in our countenances (see Alma 5:19). Our harrowing experiences prepare our hearts to receive the word, so that it can be planted there. Alma defines this word as Christ and his atonement, the capitalized Word, and suggests that as Christ grows in us, God may then “grant unto [us] that [our] burdens may be light, through the joy of his Son” (Alma 33:23, 22-23) . Our suffering can lead us to such intimacy with the Lord that we end up becoming “like him” (Moroni 7:48). He is the end we endure life’s pains to reach and the end we can become. He is worth it and so are we. To see the abstract for this paper, see “The End Worth Enduring for“. This phrase comes from a devotional address given at Brigham Young University on 18 August 1992 by Elder Neal A. Maxwell published in “The Inexhaustible Gospel”, in The Inexhaustible Gospel: A Retrospective of Twenty-One Firesides and Devotionals Brigham Young University 1974-2004 (Intellectual Reserves, Inc., 2004), 211-225. “Later, in Gethsemane, the suffering Jesus began to be ‘sore amazed’ (Mark 14:33), or, in the Greek, ‘awestruck’ and ‘astonished.’ Imagine, Jehovah, the Creator of this and other worlds, ‘astonished’! Jesus knew cognitively what He must do, but not experientially. He had never personally known the exquisite and exacting process of an atonement before. Thus, when the agony came in its fulness, it was so much, much worse than even He with his unique intellect had ever imagined!” (Elder Neal A. Maxwell, “Willing to Submit”, Ensign, May 1985) https://www.lds.org/general-conference/1985/04/willing-to-submit?lang=eng This idea is also hinted at in Alma 7: 11-13. I am reading Alma 33:23, where Alma says “plant this word” as a referrer to Alma 33:22 for a definition of “the word” used in the famous allegory of Alma 32, which, from this point of view, is a process of certainty and intimacy with the Savior himself. 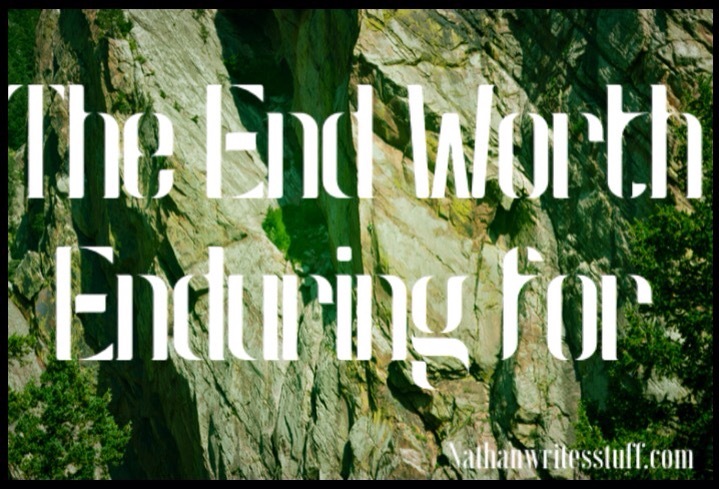 “Endur[ing] to the end” is the critical last leg of our overall journey to salvation (3 Nephi 15:9). When we talk about it; however, we often focus on endurance, as if white-knuckling the “rod of iron” was tantamount to enduring to the end. In actuality, understanding what the end is empowers us to “stand still” when “all things shall be in commotion” (D&C 123:17 and 88:91). Often our present problems can find relief through simply knowing that death is not the end. Christ “[is] the…life” that made immortal life possible for us (John 14:6). Christ’s infinite atonement not only extends our individual stories passed the finality of death, but also allows us to attain to a “knowledge…of the world to come” (Jacob 4:12, see also Mosiah 5:3). Our “hope and views” of the resurrection can allow us to face trials, suffering, and especially death knowing that they only last a “small moment” and ultimately we will “find rest to [our] souls” (Alma 27:28, D&C 121:7, and Alma 37:34). Despite a growing knowledge of the resurrection, when we are caught in one of life’s “mighty storm[s]” (Helaman 5:12), the end we tend to care about most is the end of our immediate sufferings. Trapped within the confines of our present circumstances, we are unable to see that there is “a way” prepared for us to “escape” (1 Corinthians 10:13). Christ “[is] the way” (John 14:6). His infinite atonement is the only way to escape the chains of the finite now to see “things as they really are, and…as they really will be” (Jacob 4:13). Our faith and anxiety can qualify us to know what “things should happen” (Jacob 1:5); however, even knowing how something will occur does not necessarily trivialize the experience of living through it. Christ, who knew cognitively before hand what his suffering would be like was still “astonished” when his suffering began in the garden of Gethsemane . Because of Christ’s astonishing sorrow we can also be astonished at how personal a figure Christ can be in the path out of our own sufferings. Christ himself said “I am…the beginning and the end” (Revelation 21:6, italics added for emphasis). Christ is the end worth enduring to and his grace supplies the power we need to reach him. It is our knowledge of Christ and our personal relationship with him that brings fuller purpose to our mortal pains and additional power to meet our trials. The spirit allows us such an intimacy in our relationship with Christ that we can “look forward unto the Messiah, and believe in him to come as though he already was” (Jarom 1:11). We can begin to glimpse him with an “eye of faith” and be “glad” (Ether 12:19; John 8:56). Sometimes it is during suffering’s suffocating grip that we come to know Christ most intimately. His nearness can distance us from our pain, so that we can see our trials differently. At these moments, we can more easily enter into a Gethsemaneic mindset, where we are willing to accept the Lord’s will over our own. And having emptied out our wills, we will have more room for more of God’s power to do what was previously impossible. Here our sufferings can find their end in Christ, where his will can drive us to “finish[…]” our trials in a way that can also add finishing touches to us (D&C 19:19). Our submission allows the Lord to use our trials as tools to engrave his image in our countenances (see Alma 5:19). In the end, we will see him and we “shall be like him” (Moroni 7:48). He is the end we endure life’s pains to reach and the end we can become. He is worth it and so are we. Sometimes we incarcerate ourselves in the cell of our own self-esteem. We take our fears, insecurities, and sorrows and project them upon the actions and words of others including God. We read our own guilt into the silent glances of others and they appear to be judging us. We may feel that God is angry at us, when really we are angry at ourselves. We can become so defensive over our own issues that no matter the real motives behind what anyone else does or says, all we will see is offense. Like bars, these feelings prevent us from having real relationships, because we don’t see things or people “as they really are” (see Jacob 4:13), we see them as we are. Seeing the world through the cell of our own self-esteem makes it difficult to see anything but ourselves. As we put ourselves in front of the correct focus it won’t matter how much light we have in our life, the world outside of us will blur from our developing myopia. Our own concerns are sharply in focus and overshadow everything else. In this way, it can become nearly impossible to see the sufferings or triumphs of those closest to us, because we cannot see past the bars of our own overinflated issues. We cannot be there for others, and it seems like no one is there for us. This extreme nearsightedness may also be termed as spiritual blindness, where we “walk[…] in darkness at noonday” (D&C 95:6). Spiritual blindness is not a malady that is inflicted upon us, but something we do to ourselves; it is the equivalent of walking around with our eyes shut. This is not only foolish, but dangerous! Fortunately, it is part of Christ’s prophesied mission to “Go forth to them that sit in darkness” (1 Nephi 21:9), and he can free us from ourselves by revealing himself to us. If we allow Him into our lives, we will see His “goodness”, which should “awaken[s] [us]” to a deeper sense of the divine (Mosiah 4:5, see also Mormon 2:13). Depending upon our circumstances, coming to know God can be an arresting, life altering, and a sudden stop on our own road to “Damascus” (see Acts 9). Sometimes repentance, our turning to him, can be as uncomfortable as the impact of a wrecking ball, a “mighty change” that can cause the walls to the cell of our own self esteem to “[fall] down” (Alma 5:14 and Joshua 6:20). It may also feel like a eucatastrophe, which J.R.R. Tolkien defined as a “sudden joyous turn”, a joy “beyond the walls of this world, poignant as grief” (*). Although repentance is often portrayed in dramatic one-time occurrences in scripture, for many of us this mighty change happens, almost imperceptibly, in the “process of time” (Moses 7:4). The experience of coming to know Christ and His atonement through repentance and reconciliation is a singular experience meant to be experienced regularly. It is a personal experience of such spiritual intimacy that in the Book of Mormon it is phrased as having “tasted of His love” (Mosiah 4:11). It probably does not need to be said, but to taste something you put it in your mouth, you touch it with your tongue. This is the poetic way of referencing how personal and intimate our relationship with God can be. It is also exactly what we do every week at the sacrament. We take the bread, a symbol of his body, and we take the water, as a symbol of his blood, and we eat and drink them in remembrance of Him. The portions are small, but enough for us to “feast upon his love…forever” (Jacob 3:2). Through the sacrament, we memorialize the day when, or perhaps more likely the process of time through which, “Christ hath made us free” from ourselves (Galatians 5:1). We can then step out of our self-esteem to love and be loved. * J.R.R. Tolkien, “On Fairy-Stories,” in The Monster and the Critics and Other Essays (London: HarperCollins Publishers, 1997) 153-157. The scriptures are rife with war metaphors and depictions of battles, so much so that when we read “put on the whole armour of God” (Ephesians 6:11, KJV), we may get overly excited. We may imagine ourselves answering a call to arms as a knight riding up, sword and armor immaculately shining, “clear as the moon, and fair as the sun, and terrible as an army with banners,” ready to deal out judgment in holy battle (D&C 5:14). In our eagerness; however, we may not think thoroughly enough about the identity of the actual enemy of God. We know that Satan is the enemy, yet our struggle against him is more focused on his influence than on a chest thumping, arms outstretched, “come at me bro” type of direct encounter. Our battle is not against “flesh and blood” either, like our neighbor, but against “spiritual wickedness in high places,” especially those mountains of pride built up in us (see Ephesians 6:12, KJV). It is the “natural man” inside us that could be the real “enemy of God” we need to fight (Mosiah 3:19, BofM). supposed” (Moses 1:10, PofGP). Ironically, this uncomfortable idea was likely brought to us by the Comforter or the Holy Ghost. We have known the Comforter as the instrument of God’s “tender mercies”, but the Spirit could be called the Discomforter, because He is often prompting us to do things that are uncomfortable, like “be thou humble” (D&C 110:12). As an integral part of the “whole” armor of God, the “sword of the spirit, which is the word of God” (Ephesians 6:17, KVJ) is often compared to “a two edged sword”. This comparison does not just emphasize the sharpness of the Spirit or its facility for slicing outward in multiple directions, but also the idea that one of those edges is to cut towards the wielder; to “prick [our own] hearts with the word” (Jarom 1:12, BofM). We may need a little snipping here and there to our pride, in order to bring us down to the right size. Otherwise, the call to arms could come, and our own armor might not fit, because we have become too “puffed up in the vain things of the world” (Alma 5:37, BofM). We will need a spiritual diet to shed our excess pounds of pride. A diet where we “deny [ourselves] of all ungodliness” (Moroni 10:32, BofM) and “feast upon the words of Christ” (2 Nephi 32:3, BofM). We must also “exercise [our] faith unto repentance” (Alma 34:17, BofM) “lay[ing] aside every weight, and the sin which doth so easily beset us” (Hebrews 12:1, KJV), so we can “run, and not be weary” “…of well-doing” (Isaiah 40:31 and 2 Thessalonians 3:13, KJV). Our concerted efforts will enable us to go back to a time “when [we were] little in [our own] sight” (1 Samuel 15:17. KJV). Slim enough to fit in God’s armor and little enough for the Lord to “lead [us] by the hand, and give [us] answer to [our] prayers” (D&C 112:10). As we approach the Almighty in mighty prayer, we will encounter his overwhelming and unfailing love. A love that, perhaps contrary to our expectations, we will often experience through chastisement and rebuke, for He has said, “whom I love I also chasten” (D&C 95:1). Enduring with humility the experience of repeatedly seeing our shortcomings allows God’s grace to “make weak things become strong unto [us]” (Ether 12:27, BofM). The ceaseless struggle against the worst in us builds us into a better us. Our defeat of the enemy inside us will make us a better friend to everyone. Like muscles that are broken down to become stronger, our faith is exercised and strengthened through trial. After all, we wouldn’t need an “anchor” for our faith, if we were merely meant to sail in smooth seas (see Ether 12:4, BofM). The crucible of our sufferings reveals the integrity of our metal affording us the opportunity to refine compromises we have made against truth and recast our character. We demonstrate this newly recast character during our afflictions to set it*, to finalize “His image in [our] countenance” (Alma 5:14, BofM). Our trials, at times, will take us to our breaking point, where God’s atoning grace can multiply our last efforts to do what was previously impossible for us. We will see in His refining fire that although we are nothing before Him, we are everything to Him, and we can do anything with Him. We will see that God’s “marvelous work and a wonder” is us (Isaiah 29:13, KJV); we will see it not only because we have experienced His love for us personally, but we will also see His wonder in others. Our sufferings, when endured with faith, will create more compassion in us for the rest of humanity. We will be more suited to suit up in His armor and answer the call to extend our arms out in mercy. The purpose of the refiner’s fire is to create in us the capacity to ignite a “hope for a better world” (Ether 12:4, BofM) in the heart’s of others. We will cease to merely consume, but begin to produce “the pleasing word of God” (Jacob 2:8, BofM), so we can enrich the lives of the “poor in spirit” and feed those who “hunger and thirst after righteousness” (Matthew 5:3 and 6, KJV). We can speak a symphony of sympathy for those with secret sadnesses, while the word “healeth the wounded soul” (Jacob 2:8, BofM). In the end, vanquishing the enemy within us frees up additional space for caring about and caring for others. God’s call to arms is to arm us with His love, so we, like Him, can “[go] about doing good” (Acts 10:38, KJV). *This principle was taught to me by a home teacher based on the teachings of Elder Scott, “Faith and character are intimately related. Faith in the power of obedience to the commandments of God will forge strength of character available to you in times of urgent need. Such character is not developed in moments of great challenge or temptation. That is when it is intended to be used.” Elder Richard G. Scott, “The Transforming Power of Faith and Character,” Ensign (November 2010) https://www.lds.org/ensign/2010/11/the-transforming-power-of-faith-and-character?lang=eng&_r=1. We live in a fallen world and so we encounter failure. We try to “take up the cross, and follow [Christ] (Mark 10:21), but fall again and again. Sometimes we get tired. We may feel it is too hard. We may begin to think that our failures are not mistakes, but we are, that we fail because we are failures. This is exactly what Satan would like us to think. When we recognize that we have failed in some aspect of the gospel or we have sinned, we may come in contact with two different types of sorrow: the “sorrow of the world” (2 Corinthians 7:10) also described by Mormon as the “sorrowing of the damned” (Mormon 2:13), or “godly sorrow” (2 Corinthians 7:10). The sorrow of the world comes from Satan, it is designed to crush us under its weight. This weight is unproductive and deliberately debilitating, because “[Satan] seeketh that all men might be miserable like unto himself” (2 Nephi 2:27). He wants us to feel like him, like we are damned, and there is no way out. The sorrow of the world is paralyzing, but Christ has “overcome the world” (John 16:33), including its sorrow, so that he could give us a different way. Christ’s way allows us to feel hope even in the midst of our sorrows. Unlike the sorrow of the world, the weight of “Godly sorrow” is meant to be lifted, so we can become stronger and better. Godly sorrow leads to repentance and links us to the power of an “infinite atonement” (Alma 34:12), which is the power to get back up when we fall, no matter how far or often. Part of the significance of having an “infinite atonement” is to teach us about infinite forgiveness, infinite healing, and God’s infinite love, which “faileth not” (1 Corinthians 13:8). The painful process of the atonement is itself an example of the power we can have over sorrow and sin. The account of Christ’s agonizing atonement in the garden of Gethsemane progresses through a simple sequence of actions. The narrative in the book of Matthew reads, “and he went a little further, and fell on his face, and prayed, saying, O my Father, if it be possible, let this cup pass from me: nevertheless not as I will, but as thou wilt” (Matthew 26:39, italics added for emphasis). The scholar Kent Brown* has taught that the three main verbs “went”, “fell”, and “prayed” as narrated in all the synoptic gospels use the imperfect tense in the Greek original. This tense is used to describe either an action that was customary, something someone used to do, or an action that was iterative, something done repeatedly. The intended meaning here is that Jesus repeatedly went forward, fell down, and cried out for the pain to stop. This cycle was repeated over and over again as he suffered for our sins and sorrows. The critical verb that is absent, but implied in this sequence of suffering is that he got up. Jesus fell down repeatedly, but he also got up again and again, and so can we. We will fall and fail, often and hard, but we don’t have to stay down, we can get up. We can always rise from the ashes of our mistakes through Christ’s enabling atonement. “So Jesus arrives with the eleven. Judas has already separated himself. They come inside the garden, somewhere on the lower slopes of the Mount of Olives. He leaves eight near the gate, near the entryway, and takes three with Him farther into the garden. These are Peter, James, and John, those who have been with Him from the earliest days after He began to call the Twelve. There are two basic things to notice about this. The first is the intensity of the suffering which now descends upon Him. And he, He says to the three that He is sorrowful even unto death. The weight of our sins, our mistakes, falling on a sinless man, in such enormity, brings Him to the point at which He wishes that He could push this away. He leaves them there, He goes farther into the garden and prays. And this is the second part. Each one of the synoptic gospels repeats his actions in the imperfect tense in Greek, which is the tense of customary action: he used to do this, she used to do that. And it also has to do with iterative action, repeated action. So that we read that Jesus went forward and fell and prayed, went forward and fell and prayed, went forward and fell and prayed.